Halloween crafts are very cool. They also might be very cheap if you know what to do. 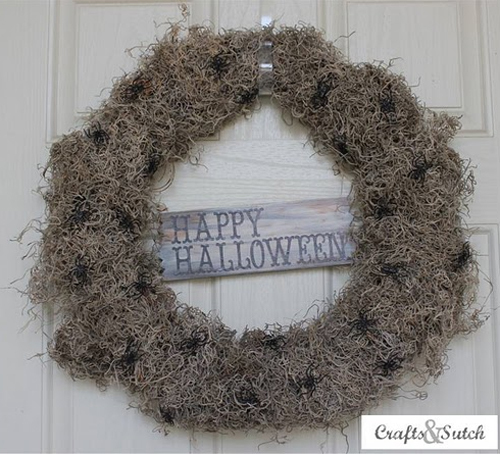 This spooky spider wreath can costs you about $5 if you find right materials. Although the final product might look like you bought something expensive in a special store. Erin from Crafts & Snutch has described how she managed to create such beautiful Halloween wreath. 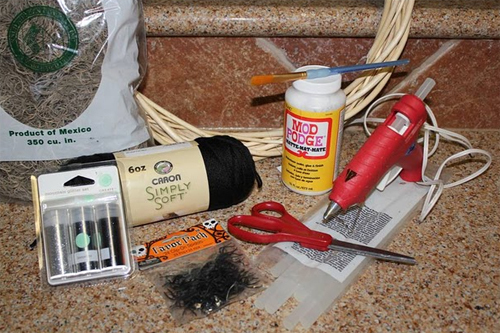 Bush Mod Podge on each of your spiders and dust them with black glitter. Cover the entire wreath form with your Spanish, squishing and shaping as you go. Use Mod Podge to adhere “Happy Halloween” to the front. Hot glue the spiders onto the wreath, and you are done! You can hang your new wreaths on your front door or on a wall in your home. For more detailed instructions visit Crafts & Snutch’s website.